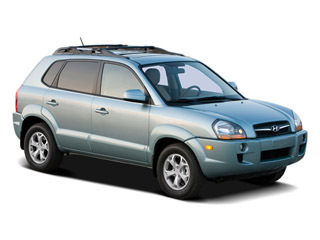 Hyundai has one of the best basic warranties available (five years or 60,000 miles) and a great powertrain warranty (10 years/100,000 miles). In government crash tests, the 2009 Tucson scored several 5-star ratings for front and side impact crashes. The EPA estimates mileage for the 2WD Tucson at 20 city and 26 highway. 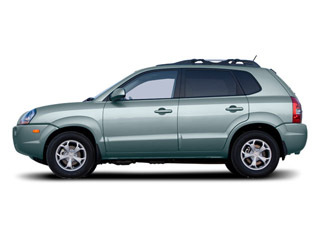 For 2009, the Hyundai Tucson offers the same three trims from 2008: the entry-level GLS, the SE and the luxurious Limited. A 140 horsepower, 2.0L 4-cylinder DOHC engine with 136 pound/feet of torque is standard on the GLS but available on all trims, and with either a 5-speed manual or a 4-speed automatic transmission. On the SE and Limited trims, a 2.7L V6 engine producing 173 horsepower and 178 pound/feet of torque is also available, but paired only with a 4-speed automatic transmission. The Tucson is front-wheel drive, but four-wheel drive is available. 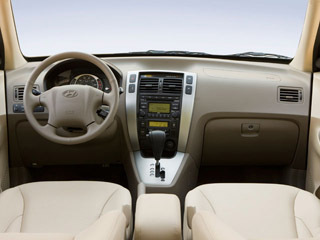 SE and Limited trims are available either as four-wheel drive when ordered with the 2.7L engine.. The Electronic Torque Management all-wheel drive system can send up to 99 percent of power to the front wheels but can also send as much as 50 percent to the rear wheels when needed. Electronic stability control (which incorporates Traction Control System), anti-lock brakes, front seat-mounted side air bags, active front head restraints and side curtain air bags that cover both rows of seating are all standard across the model line. There is seating for five, and the rear seat is split 60/40 and folds forward easily to expand cargo space. The front passenger seat can also fold forward or backward for especially long objects. Six tie-down points are provided, and the cargo floor is made of an easy-to-clean smooth material. 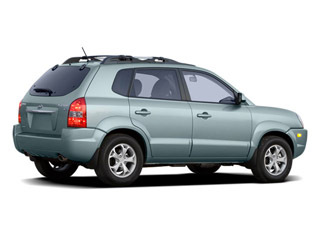 As with most other crossover SUVs, the back hatch lifts up, but there is also a flip-up rear window that allows convenient loading. The GLS includes standard features such as 16-inch alloy wheels, air-conditioning, full power accessories, heated outside mirrors and a CD/MP3 stereo with satellite radio and auxiliary audio jack.